Late in August is a great time of year to tour houseboats around Lake Union. Over the weekend we showed a long time married couple and current residents of Sammamish, WA several places listed on Lake Union. They have owned their Seattle suburbs home for over 20 years and yearn for change. They have a sailboat and like the idea of bringing it along side their future Seattle floating home so when they contacted us we jumped into action. 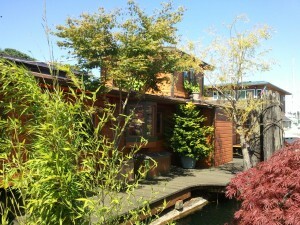 Are you curious where the Sleepless in Seattle houseboat dock is? People are still interested in 2460 Westlake Ave N. Seattle, Washington 98109.